Below you fill find all funeral homes and cemeteries in or near Windham. 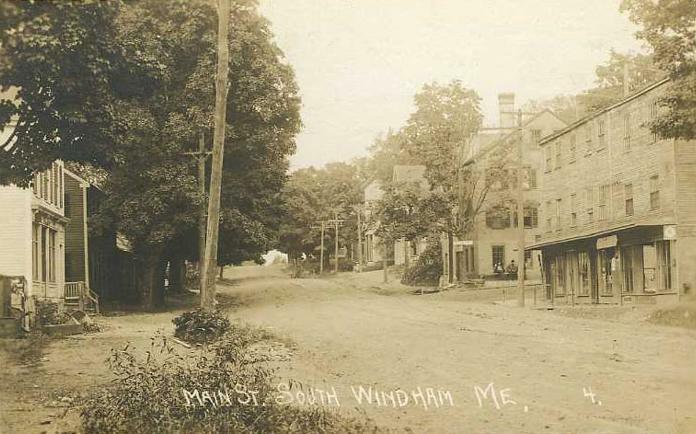 Popular neighborhoods in Windham include: South Windham and North Windham. Their current mayor is Mayor Anthony Plante. Zip codes in the city: 04062, 04082. Some of the notable people born here have been: (howard hawkes), (john albion andrew), and (jeff donnell). It was noted by The Times Record on June 10th, 2016 that Brian W Luce passed away in Windham, Maine. Luce was 68 years old. Send flowers to share your condolences and honor Brian W's life. It was reported on January 25th, 2015 that Ray Russell Pallas perished in Windham, Maine. Pallas was 72 years old and was born in Cortland, NY. Send flowers to express your sorrow and honor Ray Russell's life. It was noted by The Times Record on July 2nd, 2014 that William F Jr "Bill" Bailey passed on in Windham, Maine. Bailey was 57 years old. Send flowers to express your sympathy and honor William F Jr "Bill"'s life. It was noted by The Times Record on September 24th, 2012 that Clarence R Jr Eaton passed away in Windham, Maine. Eaton was 80 years old. Send flowers to express your sorrow and honor Clarence R Jr's life. By order of the Massachusetts General Court, a fort was built in spring of 1744 at the center of the settlement to offer protection during King George's War. It is part of the Portland, Maine Portland, Maine Portland–Biddeford, Maine Maine Portland-South Portland-Biddeford metropolitan area Statistical Area. The township was granted in 1734 by the Massachusetts General Court to Abraham Howard, Joseph Blaney and 58 others from Marblehead, Massachusetts. On April 4, 1919, the Maine State Legislature passed an act creating at Little Falls-South Windham, Maine Windham the Reformatory for Men. The Cumberland and Oxford Canal opened in 1832, carrying goods along the Presumpscot River between Sebago Lake and Portland, Maine In 1859, when Windham's population was 2,380, it had 8 sawmills, a Maize and flour mill, 2 roof shingle mills, a fulling mill, 2 carding mills, a woolen textile factory, a barrel factory, a chair stuff factory, a powder factory and 2 tanning By 1886, the town also produced felt, boots and shoemaking wood-paper board, carriages, horse harness coffins, clothing and wooden ware. It was equipped with 2 swivel guns, and within its stockade the town's inhabitants remained between 1745 and 1751. The official website for the city of Windham is http://www.WindhamMaine.us. Verne Wood Funeral Home Buckminster Chapel ... In lieu of flowers, memorial donations may be made in Dolores' name to the Maine State SPCA, P.O. Box 10, Windham, ME 04062. For online condolences, visit www. jvwoodfuneralhome.com. South Windham, ME, is the home of Dolby Funeral Chapels. We work with local florists and flower shops to offer same day delivery. You will find budget sympathy flowers in Windham here. Our funeral flowers are cheap in price but not in value.